The wait is over for Apple fans! The technology giant has finally taken the wraps off its this year’s flagship smartphones. 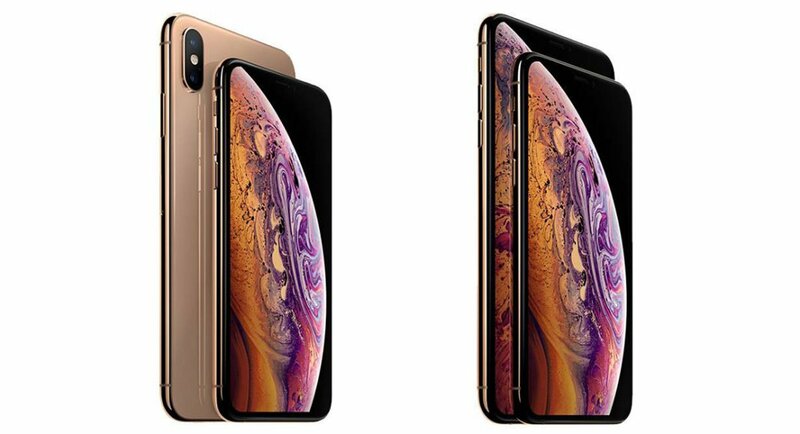 And as rumour suggested, the company has unveiled three new iPhones, namely – Apple iPhone XS, iPhone XS Max and iPhone XR. Although the design of the three newly launched iPhones is similar to the iPhone X, what sets them apart is the different features that they are packed with. It is also worth noticing that with its new line up, Apple has finally let go of its design that became so popular with iPhone 6 and continued to be a rage among smartphones till iPhone X was launched last year. The first major highlight in the specifications if iPhone XS and iPhone XS Max that we want to talk about is the fact that the handsets are Dual SIM Dual Standby. Both the smartphones will support eSIM cards even from providers like Airtel and Reliance Jio. Powered by Apple A12 Bionic processor, iPhone XS and the iPhone XS Max sport OLED HDR Super Retina displays that are claimed by the company to be more saturated and battery efficient. While iPhone XS comes with 5.8-inch display, iPhone XS Max sports a 6.5-inch screen. With A12 Bionic processor onboard, the devices promise a better augmented reality experience and are said to launch apps 30% faster than 2017 iPhones. For imaging duties, both iPhone XS and iPhone XS Max come with a dual rear camera setup – comprising of a 12MP wide-angle lens with f/1.8 aperture and a 12MP telephoto lens with f/2.4 aperture. For selfies and video calls, iPhone XS and iPhone XS Max sport a 7MP TrueDepth camera with f/2.2 aperture. The front facing snapper of the iPhones promises more depth in portrait images. In fact, with iPhone XS and iPhone XS Max, you can adjust the blur level of the background of the images even after they have been clicked. Both the iPhones are available in three storage options — 64GB, 128GB, and 512GB and run the iOS 12 software. The iPhone XS and iPhone XS Max come with IP68 water-resistance rating and come with Face ID unlock feature. Speaking of battery life, iPhone XS is said to last 30 minutes longer and iPhone XS Max is claimed to last one and a half hours longer than iPhone X. While most of the specifications of iPhone XR mobile are the same as that of iPhone XS and iPhone XS Max, there are some key things that are different. Firstly unlike iPhone XS and iPhone XS Max which sport OLED screens, iPhone XR comes with a 6.1-inch LCD screen with 1,792×828-pixel resolution. It has an aluminium body and a glass back panel and comes with a single 12MP wide angle rear camera with Optical Image Stabilization. It comes in three storage options — 64GB, 128GB, and 256GB. The smartphone comes with IP67 water resistance instead of IP68 like iPhone XS and iPhone XS Max and its battery life is said to be 1.5 hours more than that of iPhone 8 Plus. Much like iPhone XS and iPhone XS Max, iPhone XR is powered by A12 Bionic processor and runs iOS 12 software. The device can be bought in six colours including blue, coral, yellow, white, black, and Project Red. The iPhone XS comes with a price tag of $999 for the base variant, $1,149 for 256GB version and $1,349 for the highest 512GB model. In India, the price of iPhone XS begins at Rs 99,900. Speaking of iPhone XS Max, the base variant is priced at $1,099, the 256GB version bears a price tag of $1,249 and the 512GB storage model costs $1,449. iPhone XS Max’s 64GB storage model is priced at Rs 1,09,900. Apple iPhone XS and iPhone XS Max will go on pre-orders on September 14, and will ship starting September 21. In India, they will be available starting September 28. Speaking of iPhone XR, the 64GB variant is priced at $749, the 128GB storage model at $799 and the 256GB version at $899. In India, the price of iPhone XR begins at Rs 76,900. The pre-orders for iPhone XR will begin on October 19 and it will start shipping from October 26 in over 50 countries including India. Apple-designed accessories including leather and silicone cases in a range of colours will be available starting at Rs 3500, while the iPhone XS and iPhone XS Max Leather Folio will be available for Rs 9,900.